2 OWNER! Clean Car Fax! Non Smoker's Car! Great Miles! Only 137K miles! LE Model! Full Power! Brand New Tires! Super Dependable Camry! Great gas Mileage! This is a great little car, has all the right equipment and history, and is priced very fair. This Camry has been fully serviced, Missouri safety inspected, and road tested, it is ready to go! Plus, it has power everything, power seat, power windows, power locks, power mirrors, tilt wheel, cruise control, delay wipers, ice cold AC, key-led entry, new tires, CD player, rear folding seat, great cup holders, even a cassette player for smart phone inputs. 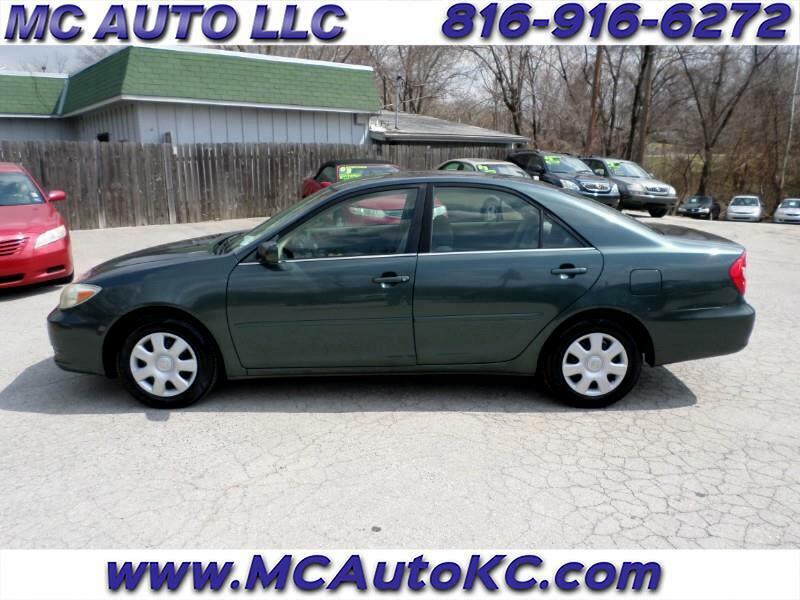 This Camry has all the reliability of the Toyota tradition, and it looks and drives out great. And lastly, we do not try to sneak in any hidden fees, like paperwork fees, admin fees, or doc fees. Call if you need any other information or need to schedule an appointment. CALL 816-916-6272 OR 816-665-7371 or visit us at www.mcautokc.com .